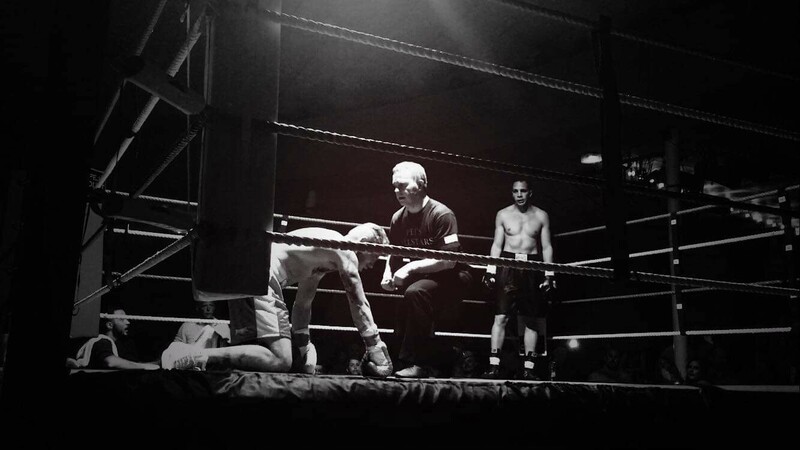 On a hot Tuesday evening last summer, I leant over the ropes of a boxing ring to watch two men sparring. Something wasn’t right. Having coached both of them for years, I knew these fighters well. Normally, their rounds were full of classy angles, pinpoint accuracy and quick reactions. But on this day, they looked sloppy and out of synch. Rather than connecting with intention, most of their punches were hitting nothing but air. Their footwork was messy, they failed to defend, and they looked out of breath after a minute of work. As any coach would likely do, my first instinct was to shout out practical advice. I told them to plant their feet, use their jabs and slow down. But these tips fell on deaf ears because the problem wasn’t technical. They were distracted rather than incapable. They weren’t present. I competed as a kickboxer and boxer for just shy of a decade, and I’ve been coaching for almost fifteen years. Getting into “the zone” while under the pressure of competition is a hot topic for anyone in the world of sport. But it’s not only athletes who need to find their flow — that effortless, automatic state in which everything seems to work perfectly. Maybe your challenge is pitching to a new client, hustling on a trading floor or trying to get three kids to school in the morning? We all need a quiet mind and uninterrupted focus to function at our best. Rule-bound activities create the perfect opportunity for flow. This means that “the zone” awaits in pretty much any profession, sport or hobby. But, when the pressure is on, this optimal state can be elusive. It takes training to learn how to summon it up and self-awareness to know when we need to. My own battle to overcome this particular challenge was what inspired me to train as a therapist in 2010. Since then, I’ve worked with countless athletes and non-sportspeople alike to find answers to the question of how to flow when the going gets tough. Here, I’d like to share with you one of the simplest and most effective solutions I’ve come across. 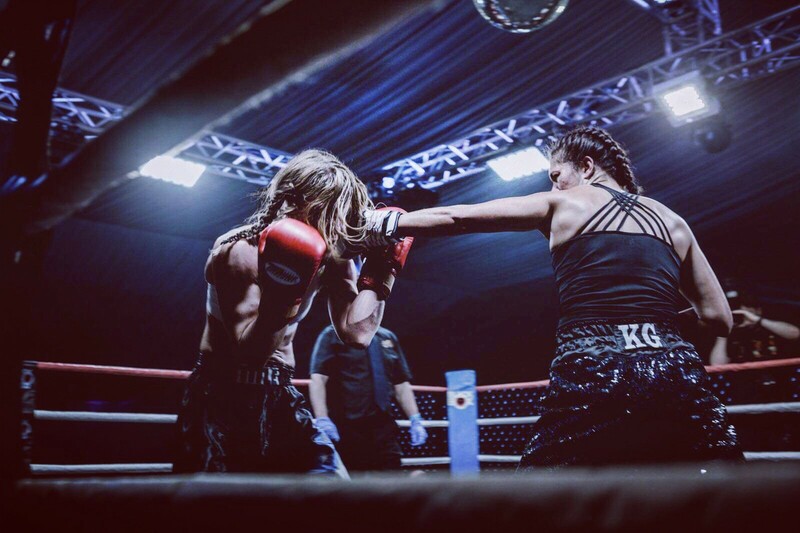 Bella Jones (right) boxing Claire Edwards in 2017. Fun fact: Bella and I fought each other for a British title in 2010. To this day, it remains my favourite bout. Unfortunately, the photos aren’t as good as this one. Image credit: Sam Riley. This article isn’t for boxers specifically but fighting provides an excellent example. While competing, a boxer can be sidetracked by any number of different things: the cheering (or jeering) of the crowd, fatigue, physical pain, the prospect of failure, the glory of the win, etc. But it’s not those things that actually do the distracting. It’s the thoughts we have about them that cause the problem. Thinking really gets in the way when we need to perform. It’s too slow for a start. By the time a fighter’s had a little wonder about how they might block the next jab, it’ll have landed at least once. Even in situations where speed is not of the essence, thinking sabotages our focus by drawing our attention inside. It prevents us from being present and connected to our environment. Instead, we get caught up in the distracting mental chatter that causes self-consciousness and anxiety. Useless. They slow down, grow heavy, hesitant, lethargic and fail to react to the attacks of their opponent. They look panicked and lose balance as if the centre of gravity has moved upwards in their body. In this mode, they may throw many punches but land few, and their energy will be short-lived. If they get caught with a good shot, they’ll be more easily knocked down and the boxing gets messy. Again, these symptoms aren’t sport-specific. Picture an anxious interviewee in front of a panel of prospective employers. What do you see? If you imagine them clamming up and going silent, you’re visualising the interview version of sluggishness — the bunny-in-the-headlights reaction. If you imagine them babbling a rapid stream of nonsense, you’re envisaging the interview version of flightiness. Panic and chaos take over. As I watched the sparring that summer evening, I could see that one of the fighters had grown sluggish, while the other was flighty. This meant that boxer no.1 was behaving a bit like a punchbag. Boxer no.2, on the other hand, was throwing elaborate combinations but to little effect. They had abandoned the “sweet science” in favour of “scrappy swinging”. It was far from optimal. Master these skills and you’ll have the antidote to problems like stage fright, social awkwardness, procrastination and anything else that prevents you from delivering your own knockout blows. Fighter Jamaine Hemmings having just landed a devastating left hook to the body. I may be a therapist, but in the boxing gym I have neither the permission nor the inclination to start asking people about their inner worlds. Thankfully, I don’t need to. To combat the distraction problem, I’ve started teaching boxers a mindfulness technique. Step 1: Without moving your head, notice three things you can see. Step 2: Notice three things you can hear. Step 3: Notice three things you can feel in contact with your body. Step 4: Breathe, go to peripheral vision, and calmly notice all nine things at once. On the day of the scrappy sparring, I led the boxers through this process as they stood in fighting stance facing one another. The first three requests took about twenty seconds. For the final step, I gave them ten seconds to settle into the state of attentive awareness I wanted them to adopt. During that time, the energy in the ring changed. It felt at once calmer and more energised, as if something really awesome was about to happen. When the spar began, it was like I was watching two completely different athletes. Suddenly, their movement looked considered and controlled. Their shots started to land flush or, if they didn’t, it was because they were blocked skilfully. The boxers now seemed connected to both the action and floor beneath them. As a result, their performance had become solid, powerful and effective. They were back in the game. Focusing on the senses forces us into the present. If we are paying attention to what’s happening in our immediate environment, then we are not paying attention to anxiety, rumination or any other internal distraction. The breathing and peripheral vision requests at step four encourage a state of calm. When we’re at rest, these functions are automatic. By consciously choosing them in situations that would otherwise be anxiety-inducing, we can trick our minds into thinking the threat is minimal. Finally, the challenge to keep noticing all nine foci at once consumes our conscious awareness. It’s hard to concentrate that many things simultaneously. If you tried the technique earlier, you may have found that you rotated through the different stimuli rather than holding them all in mind concurrently. That’s fine. The attempt to stay aware of it all is enough to keep your conscious mind busy and, therefore, to interrupt any distracting patterns of thought. Another variation on this process — the “5, 4, 3, 2, 1” technique — asks you to notice stimuli from all five senses. Count five things you can see, four you can touch, three you can hear, two you can smell and one you can taste (even if that’s only your saliva). This is an equally effective way to short-circuit anxiety and step into the now. I don’t use this version with boxers because smell and taste are irrelevant to sparring. Sight, sound and touch, on the other hand, are crucial. By repeating the exercise, the athletes can teach themselves to focus on the information required for them to box at their best. In other words, they can train their minds — as they train their bodies — to flow. Where do you need champion focus? Any battle can be won or lost in thought before it even begins. I don’t know what your equivalent to a round of sparring might be, but I’m sure you have one. Where does distraction or self-consciousness get in your way? And how might those situations be different if you could quickly get out of your head? I’ve seen so many excellent fighters fall apart during competition because they lost control on the inside. Learning this technique helps them start in the mental state required for them to respond to their opponent rather than self-doubt. Of course, that doesn’t necessarily mean they’ll stay distraction-free for the duration of the bout, and taking 30 seconds to refocus while under attack isn’t a particularly good idea. Thankfully, with training, you can learn how to jump to step four in a matter of moments. This ability is invaluable for all sorts of stressful situations. You might need it during an exam, a meeting, a presentation or in a difficult conversation with a friend. Then again, you could also use it while taking a walk along a beach, watching the sun set or making a cup of tea. We don’t need to be in a state of discomfort to enjoy the peaceful clarity of present-moment awareness. This technique will teach you to actually be on holiday, at a dinner party or in a loving embrace with your partner. As someone who used to spend 99.9% of the time stuck in her head, I call tell you that these experiences are far richer when you pause to pay attention. Even the most familiar conditions can contain unexpected beauty, and even the most mundane of moments can surprise you if you care to look, listen and feel. So, what might you be missing out on, and where could you be a better version of yourself? I invite you to find out. This story is published in The Startup, Medium’s largest entrepreneurship publication followed by +428,678 people.